Street racing is a very popular theme for Hollywood movie studios. With the tremendous box office success of the Fast and Furious franchise, it is obvious why that is the case. In the movies, street racing is portrayed as a large underground event with hundreds of spectators and gamblers, loud music, custom cars, and incredible action. Unfortunately, real life street racing is not so glamorous. It usually involves two young drivers behind the wheel of slightly souped up cars driving at incredibly dangerous speeds in areas with pedestrians and other drivers and often ends with a serious crash. One recent example of this can be seen in a news article from ABC 7 News. Authorities say a teenage driver crashed his Mercedes into a tree while participating in a street race in the Benedict Canyon area of Los Angeles. Police alleged teen driver lost control of his car and crashed. The car first hit the curb, taking out a large chunk of concrete, and then ran into a tree. After hitting the tree, car caught on fire. While on fire, the car deflected off the tree, skidded across the street on its side and took out a mailbox at a neighboring home. The car then hit a Prius parked in the driveway of the home. Residents of the neighborhood went outside after hearing the crash and rushed to help the three occupants out of the burning wreck. Once the driver and passengers were out of the car, it completely burst into flames. The bumper of the Prius was melted from the heat of the burning Mercedes. When firefighter arrived, they started to work on putting out the car fire. Witnesses say it burned for a long time before firefighters were finally able to completely suppress the flames, but there was other damage to the neighborhood aside from the Prius bumper. All three occupants in the wrecked Mercedes were 17 years old, and two of them were taken to a local trauma center complaining of pain. Despite police believing street racing was responsible for the crash, no arrests were made. It should also be noted, alcohol was not suspected as being a cause in this serious single vehicle accident. As our Boston car accident lawyers can explain, in a standard personal injury case, verdicts are limited to what are known as compensatory damages. Compensatory damages have been the standard measure of recovery going to back to the beginnings of our legal system in England hundreds of years ago and were created to compensate injured plaintiffs for damages cause by defendants’ negligent acts or omissions actionable under the law. In other words, compensatory damages were designed to put victims in the position they would have been in had the accident not occurred. However, when defendants’ negligent conduct also involved a complete willful and wanton disregard for the safety of others, plaintiffs may be awarded punitive damages in addition to compensatory damages. These damages are designed to send a message about the jury (and therefore society’s) disapproval of this type of extreme and outrageous conduct. 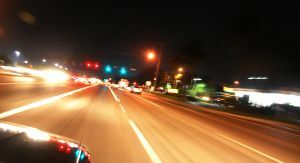 Car accidents involving street racing might be one of these cases where punitive damages are appropriate. However, every case is different, and you should speak with your lawyer about the facts pertaining to your situation.